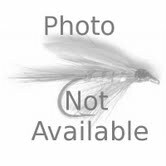 G. Loomis Trout/Panfish Spinning Fishing Rod SR841-2 IMX is a delightful two-piece, ultra-light spinning rod, designed for fishing lakes and ponds where longer casts and light line are important. The 7-foot length and the ultra-light action makes it a great deep-water panfish rod. If you like to fish a bubble and fly for trout, this rod works especially well. It is a nice rod for drifting single salmon eggs for trout in large streams and small rivers. It's the perfect four-pound test rod available only in IMX, it is extremely sensitive and very light. A delightful two-piece, ultra-light spinning rod, designed for fishing lakes and ponds where longer casts and light line are important. The 7-foot length and the ultra-light action makes it a great deep-water panfish rod. If you like to fish a bubble and fly for trout, this rod works especially well. It is a nice rod for drifting single salmon eggs for trout in large streams and small rivers. It's the perfect four-pound test rod available only in IMX, it is extremely sensitive and very light. I switched from a light MLX Cabela's rod to the G. Loomis Trout/Panfish Spinning Fishing Rod SR841-2 IMX ultra light! Iif you want to get those 1/4 & lighter lures out there further, this is the rod you want! It really casts about 15 yards further with 1/4 inch cast master! The sensitivity is excellent, you can really feel the lure action, helps with retrieval speed accuracy. I matched it with the new Shimano Stradic 1000, excellent outfit for trout fishing!